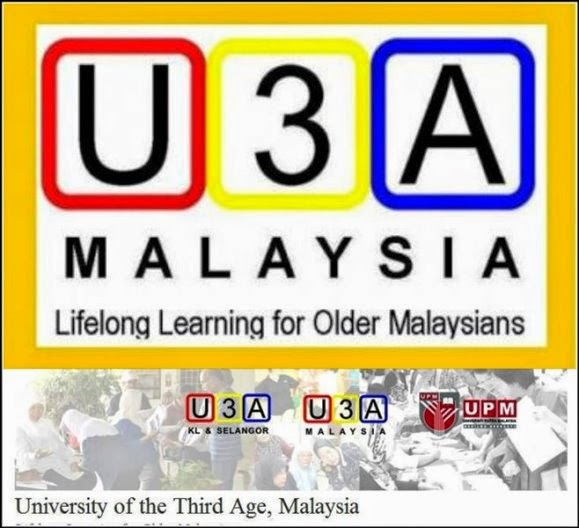 Many SeniorsAloud members are also members of University of the Third Age (Malaysia), better known as U3A (M) for short. We have been enjoying the short courses at U3A for several years now, and we look forward to signing up for more courses each new semester. 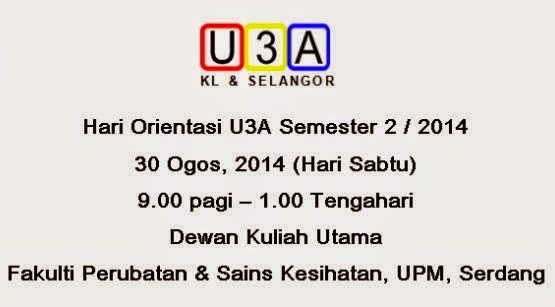 The next semester begins this Saturday, 30 August 2014. Details below. The University of the Third Age began in France in 1973 at the Faculty of Social Sciences, Toulouse. The model became popular as it made sense to utilize the facilities and staff of the university to conduct the short courses offered by U3A. But the catalyst for the rapid growth of U3A was the phenomenal rise in the ageing population in Europe, the United States and Asia. Today there are U3As all over the world, even in Russia! The term 'Third Age' refers to the 'golden years' after retirement when older adults are able to enjoy freedom from work to pursue their interests. As the retirement age varies from country to country, the Third Age could begin anywhere from 55 to 65. The original model has undergone changes to adapt to the changing times. In the UK, many U3As are not linked to universities. They operate like focus groups consisting of members that share common interests. They meet regularly at the home of either a member or the instructor to listen to talks or share on certain topics of interest. The atmosphere is always informal, friendly and supportive. Most U3As are self-funding and autonomous. Courses are usually of short duration and skills-based. Language courses are also popular. The underlying philosophy of U3As is to make lifelong learning fun and accessible to older adults everywhere. 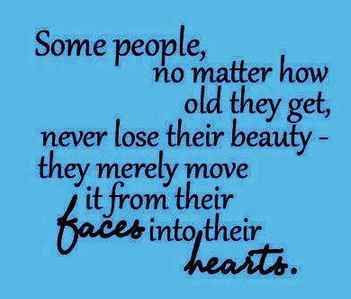 It is about enriching our golden years, and that includes making new friends and enjoying new experiences. In response to older adults who are unable to attend U3A classes or meetings for one reason or another, there are now online or virtual U3As in several countries. 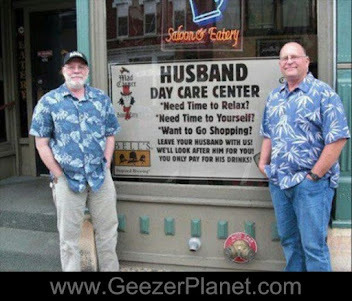 You can find out where they are and what courses they offer at http://www.u3aonline.org.au/. U3A Malaysia follows closely the original French model. 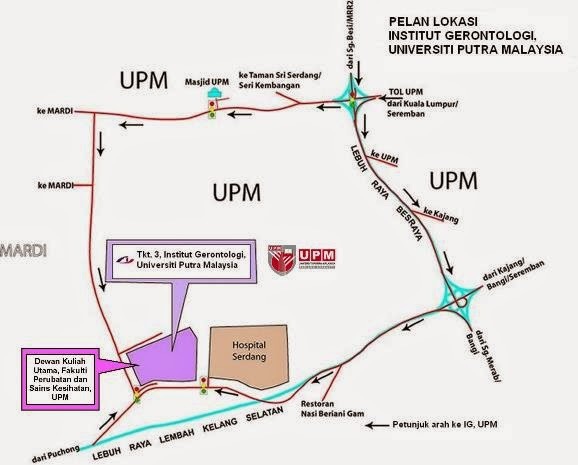 It is associated with University Putra Malaysia through the Institute of Gerontology (IG), Faculty of Medicine and Health Sciences. 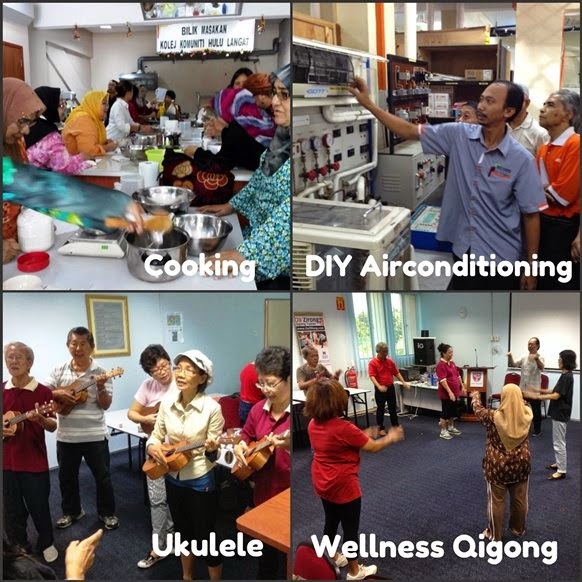 It was set up in 2007 as a program under the "Lifelong Learning for Older Malaysians" project started by Prof. Dr. Tengku Aizan Hamid, Director of IG, and jointly supported by the Government of Malaysia and the United Nations Population Fund. In 2010, U3A Kuala Lumpur and Selangor was officially registered with the Registry of Societies (ROS) Malaysia. U3A(M) offers an average of 40 short courses per semester, ranging from languages and skills to health and adult development. There are two semesters a year, commencing in March and in September. Courses run for 4-6 weeks. Most classes are of two hours duration and held weekly at IG. A few are held at Hulu Langat Community College, and at Auditorium JPA, Putrajaya. The certificate presentation ceremony is held in December. Those who have completed their courses receive a certificate and enjoy a celebratory lunch with their fellow course-mates. While anyone aged 50 and above is welcomed to sign up for courses, U3A encourages those interested to register for membership as they can enjoy more benefits. For new members, there is a one-time registration fee of RM15 (inclusive of RM5 membership card). 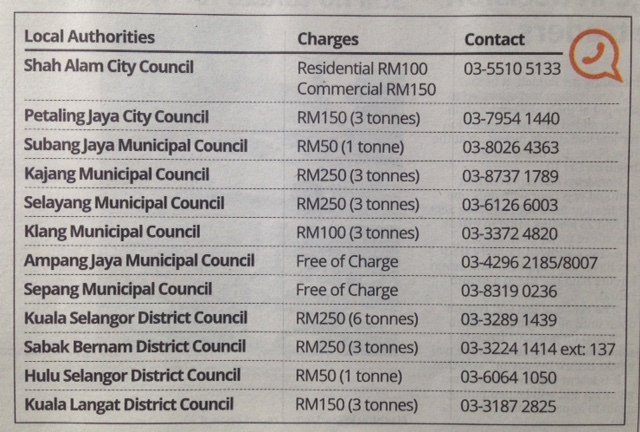 Annual fee is RM25. Members pay only RM80 for any three courses. Each additional course is RM30. 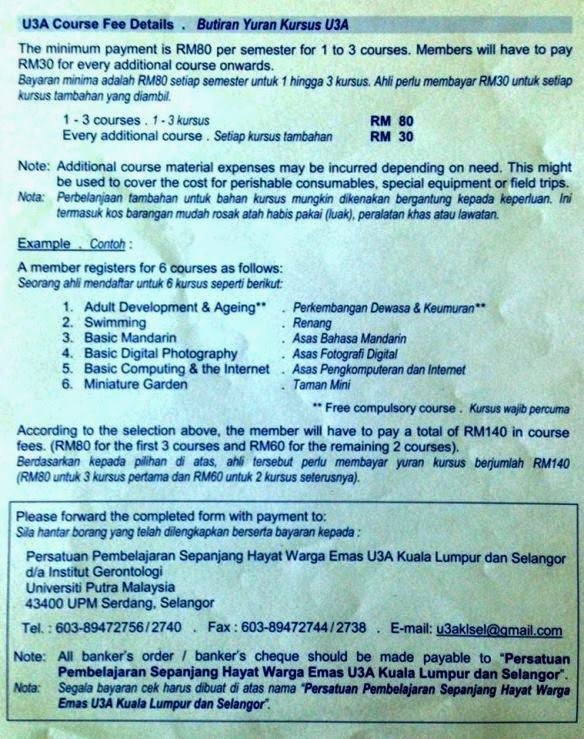 Non-members pay RM50 per course. Do consider signing up for life membership as you pay only RM150 and you can avoid the hassle of renewing your membership every year. Members also get to enjoy outings and various events throughout the year. 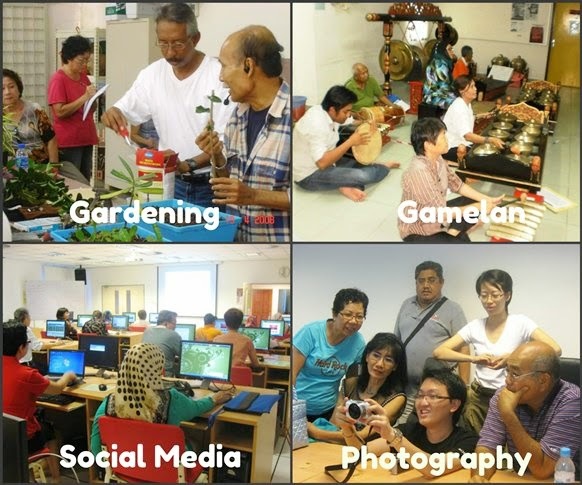 So, are you eager to embark on a journey of lifelong learning with your fellow Malaysians? Then be there on Orientation Day. 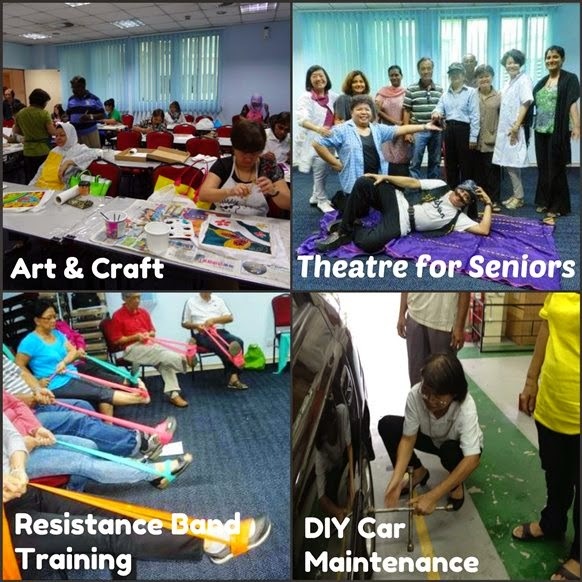 If you have an FB account, please visit U3A FB page at https://www.facebook.com/U3AMalaysia for more info and photos of U3A events and activities. 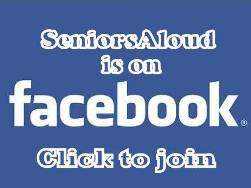 For enquiries, you can send an email to u3aklsel@gmail.com or info@seniorsaloud.com. It was indeed a great pleasure meeting you in person this morning after so many years. Thank you so much for this post as I have joined U3A. Signed up a few of the courses. First being Gamelan1, its like a dream comes true. Shall be keeping my fingers crossed to be accepted into the class coz heard its a very 'hot' course very much in demand and can only fit max 9 pax. 3 other courses are Adobe Photoshop, Ukelele & Chinese Writing. Hope am able to juggle my time to attend them. Once again tQVM. WHEN WAS THE LAST TIME YOU VISITED A FISH FARM?